Have you ever seen awesome items marked down in a store only to find that they are damaged in some way? Jennifer Priest here to share how you can take cool, but broken items, that are on clearance and remake them into something beautiful with StencilGirl stencils. I spotted this wonderful, but broken, memo center at my local craft store on clearance for $2.50. It was originally painted a coral red with a black and white pattern on the panel backing. It is pretty hideous and did not match my house at all. It needed a new coat of paint and some character that only StencilGirl stencils could provide. 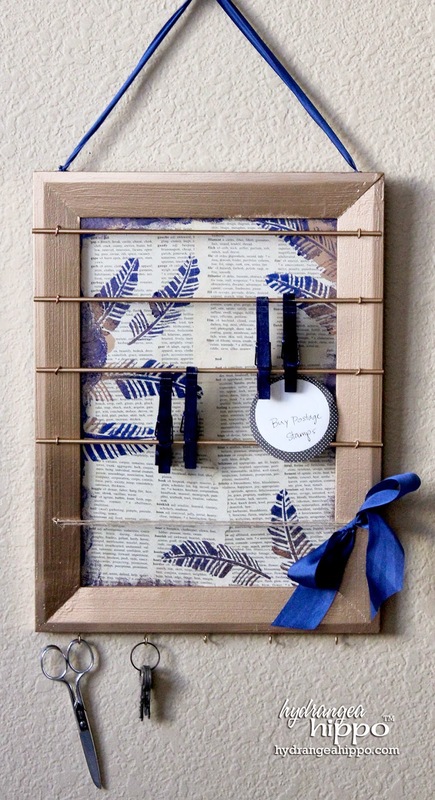 To create this project, you'll need to remove the backing panel from the frame. This technique can be applied to any broken substrait from boxes to memo boards to photo frames or any other item you want to remake and imagine. Spray paint the frame (or whatever your base happens to be) and remove any glue or nails. Apply decoupage medium to the backing panel, press book pages to the medium, and then paint a second coat of medium over top of the book pages. Once the decoupage medium has dried, use the StencilGirl Falling Feathers stencil to stencil feathers around the perimeter of the backing panel. Apply one color of paint on one end of each feather and then apply the second color of paint from the other of the feather, blending the paint colors in the center of the feather. Repeat as desired around the edged of the backing panel. While the stenciling is drying, set 3-4 wood clothespins inside a ColorBox Color Catcher and spray with Smooch Spritz in Navy Twinkle. Allow to dry. Apply a thin layer of E6000 adhesive to the inside of the frame and re-attach the backing panel to the frame. Replace any missing eye hooks and cup hooks. Add twine to replace missing bars or wires. Add a silk ribbon bow to dress things up! Do you have an old broken item in your stash? Tell us which StencilGirl stencil you would use to update the piece! Wow - what a great idea! I only own the house stencil by Stencilgirl, but turn this sideways... I can see it working really cool! 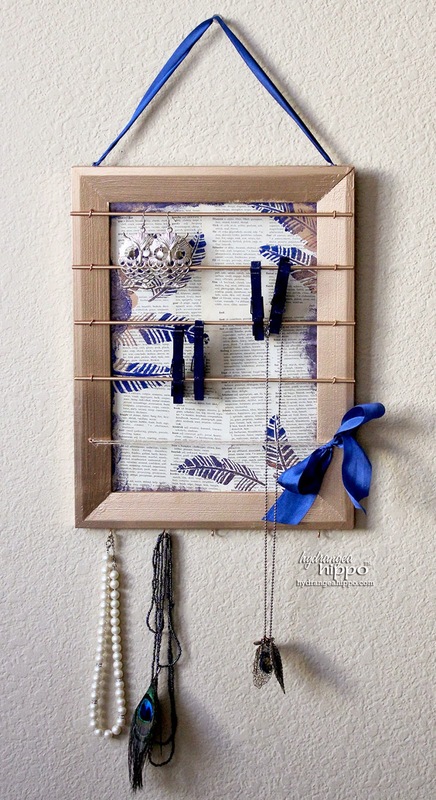 Why not use a wooden frame and dowels for this? I can see all kinds of possiiblities! 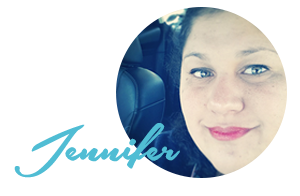 Thanks Jennifer!! This is such a great idea... I usually overlook ugly or less than perfect things in the discount bins - I don't know why I don't think to give them a makeover! This is awesome, and I really appreciate the inspiration!